Sometimes in a review or an e-mail a reader will provide a short but hard-hitting laundry list of complaints about one or another book I’ve written, and two items on the list are (a) that I’m needlessly attacking the Bible (I objected to this complaint in chapter 2) and (b) that I am saying nothing new but am merely rehearsing what scholars have known for a long time. I find this two-pronged critique a bit odd for lots of reasons but in particular because the two prongs seem to be at odds with each other. How am I attacking anything if I am simply saying what scholars have long known? 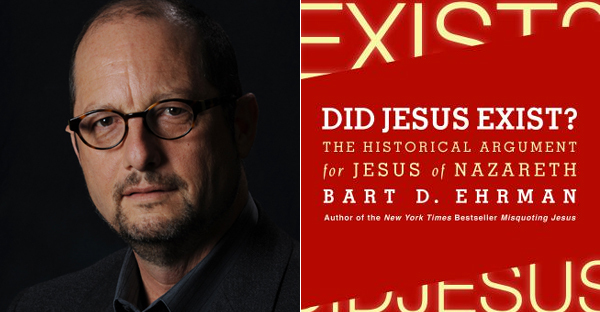 I don’t see how a critic can have it both ways” (Bart Ehrman, Did Jesus Exists?, 69). I wish to examine Ehrman’s reasoning. Note 1: Ehrman should have given a footnote of one or two examples of critics who have made such complaints so readers can see what he’s talking about and to see it in context. Note 2: Assuming it is true that his critics often give these two prong critiques, Ehrman thinks that his critics can’t have it both ways, that is, their two claims are incompatible. Ultimately, Ehrman is making a complaint about the logic of the critics’ claims. But these claims by his opponents are not logically contradictory. Note 3: To illustrate how these two claims are not necessarily and logically mutually exclusive : It is possible to needlessly attack the Bible and rehearse something scholars have been saying for a long time if there’s a stream of scholarship that needlessly attacking the Bible. Note 5: Ehrman’s rhetorical question implies that he is not attacking anything if he’s saying what scholars are saying: “How am I attacking anything if I am simply saying what scholars have long known?” It seems Ehrman’s statement about scholarship is rather naive in light of Khun’s analysis of scientific revolutions and contemporary discussions in disciplines such as the history and philosophy of sciences and sociology of scientific knowledge which today acknowledges that scholarship is anything but neutral endeavors. These disciplines has implications concerning scholarship in the realm of social sciences and the humanities as well, fields that directly affects Ehrman’s specialization. Note 6: Per note 5, Ehrman’s rhetorical question seems rather disingenuous when he implies he is not “attacking anything.” Ehrman has also stated that he “objected to this complaint in chapter 2.” But in chapter two he does acknowledge that he is attacking something when he stated “I have attacked a particular flavor of it. It is true that in my part of the world, the American South, the flavor I have attacked happens to be the flavor preferred by the majority of practicing Christians” which “is the voice that says that the Bible is the inerrant Word of God, with no contradictions, discrepancies or mistakes of any kind. I simply don’t think this is true” (Bart Ehrman, Did Jesus Exists?, 36). Note 7: Of course one’s view of whether or not there is a needless attack would be based upon one’s view of the Bible but this much can be said without going down further rabbit trails of who is right and who is wrong: Ehrman’s charge that his critics’ complaints are logically mutually exclusive does no hold water in of itself, no matter what your view is concerning the Bible.